Changes Interactive expanded indoor queue opened Jan 30 2015. A 2 day closure for Peter Pan is scheduled for next month. There is nothing quite like Peter Pan's Flight! I love how you fly through the entire story, from the Darlings' nursery, through the yard, over the city - the best part is flying over London! - and then on a flying tour of Never Land. It is a really short ride, but every moment is worthwhile. It's so much fun! This is my favorite ride at Disney World. 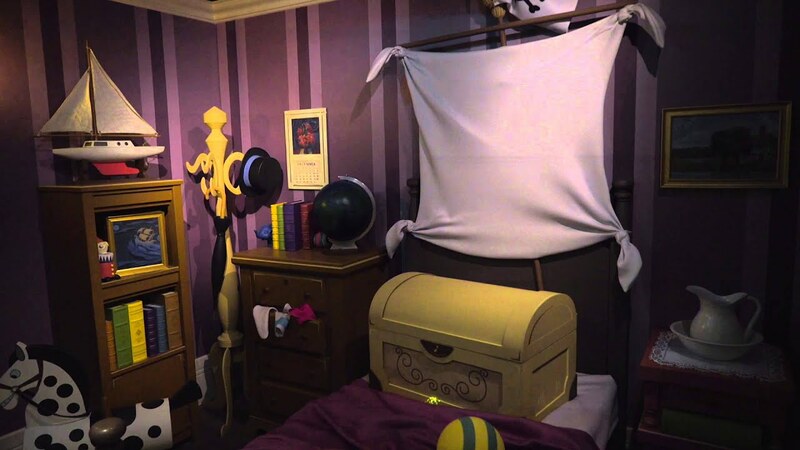 Not only is the very idea of flying over London and Neverland enchanting, but the attention to detail is beyond astounding. When flying over London the forced perspective is incredible. Look down at the ground and you can see tiny cars that are actually moving across the miniature streets. This ride is definitely the most magical at any Disney park and always will be. A must-do for EVERYONE visiting the parks! I always make it a point to snag a Fast Pass for Peter Pan's Flight whenever I'm in MK. The feeling and perspective of flying are really neat and the art in the different scenes is fantastic. It's really a worthwhile experience but unfortunately it's just a little shorter than I'd like.